Tania Brown is the Director of CBRE360 business development in APAC, based in Singapore. Specializing in the CBRE360 product since it’s early development stages, Tania meets with clients across the region to understand the unique experiences they want to curate for their tenants/employees. Working closely with the digital team, Tania builds tailored solutions for her clients ensuring timely delivery and focusing on superior outcomes for all stakeholders. Tania’s expertise lies in curation of solutions, transitioning clients, overseeing roll outs across portfolios, ensuring the operations of the division run smoothly, tailoring digital solutions to clients’ requirements and transitioning and implementing various digital solutions. 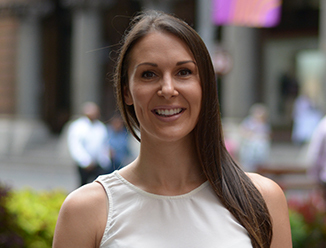 Having a background in accounting with vast experience in technology implementations, this combination helps Tania deliver outcomes to her clients with commercial and technical feasibility in mind. Tania is an experienced ACCA qualified accountant with over 12 years’ experience in the Finance and Digital industries, and is a recipient of CBRE Circle of Excellence Award 2017.